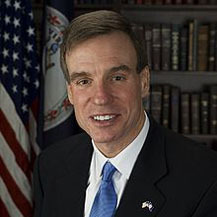 U.S. Sen. Mark Warner (D-VA), a member of the Senate Banking and Finance committees, pressed the U.S. Securities and Exchange Commission (SEC) to use its rulemaking authority to require companies to tell shareholders whether and how they are investing in their workforces through human capital management disclosures. Human capital management disclosures provide a snapshot of how U.S. companies compensate, train, retain, and incentivize their employees. Several studies have found that human capital management disclosures are an important predictor of a company’s long-term success in a changing economy. For example, a 2015 McKinsey study found that firms that prioritize learning programs for their employees perform better overall than those that do not, and a recent Harvard report found a positive correlation between human capital management and investment outcomes. Requiring companies to disclose these indicators would provide investors with a better understanding of a firm’s performance and potential for long-term growth. The SEC’s current human capital disclosure requirements are extremely limited, requiring disclosures only of the number of employees, their median compensation, and CEO compensation. Sen. Warner’s letter notes that because human capital investment is currently categorized by accounting rules under “administrative expenses,” it’s plausible that capital markets punish companies that invest in training and upskilling their workforce by treating long-term investments in people as an expense akin to high energy bills or spending too much on office supplies. In his letter, Sen. Warner urged the SEC to utilize its rulemaking authority to require companies across the board to provide further details relating to human capital management. Specifically, Sen. Warner encouraged the SEC to revise and modernize Regulation S-K to require public reporting companies to disclose more qualitative and quantitative information regarding human capital. While the SEC would be responsible for developing and finalizing the requirements, human capital disclosures could potentially require firms to make public information about workforce demographics; employee turnover; employee compensation; workforce compensation and incentives; and employee education and training programs. A copy of the letter to the SEC can be found here. Shareholders are increasingly demanding more information on non-financial indicators covering a company’s ethical and social practices – what’s known as environmental, social, and government (ESG) reporting. ESG reporting provides transparency on a company’s governance practices, political spending, investment in workforce development and the effect of climate change on financial performance, along with other factors that allow investors to better evaluate potential risk in a tech-driven economy. The SEC has not issued comprehensive standards in this area, leaving it up to businesses to decide how much – if any – information to provide investors on ESG matters. In a companion letter to the Government Accountability Office (GAO), Sen. Warner today asked for a study on the subject analyzing the extent to which firms currently report on ESG issues, and whether Congress and the SEC should act to require such disclosures. A copy of the letter to the GAO can be found here. “As investors increasingly call for companies to disclose more information on ESG issues, Senator Warner’s letters arrive at a crucial time to keep the conversation headed in the right direction. The Council of Institutional Investors is supportive of efforts by the SEC to consider enhancements to disclosures that include ESG issues and human capital management. We look forward to the results of the GAO study and to continuing to work with the SEC to consider these and other disclosure issues that have been identified by many long-term investors,” said Jeff Mahoney, General Counsel, Council of Institutional Investors. “Aligning the interests of workers, shareholders, and managers is one of the essential elements of corporate long-termism. Senator Warner is right to make this a priority, and it’s past time the SEC act on the investor petition on human capital disclosures and more,” said Andy Green, Managing Director of Economic Policy, Center for American Progress. “Investors and the public are increasingly focused on how companies manage human capital to improve business performance and contribute to the broader economy. Sen. Warner’s letters to the SEC and GAO raise important and timely issues. We look forward to the results of the GAO study and urge the SEC to move quickly to improve corporate disclosure of human capital issues,”said Damon Silvers, Director of Policy, Special Counsel, AFL-CIO. “Public Citizen applauds Sen Warner’s effort to promote corporate disclosures on human capital, environment, political spending and other critical issues. Investors understand that these factors figure at the center of value and have demanded enhanced disclosure, but thus far the SEC has done little to keep pace with this demand,” said Lisa Gilbert, Vice President of Legislative Affairs, Public Citizen.